We’ve always admitted that many liberal ideas sound good, in a religious pie-in-the-sky utopian sort of way. The problem is that, in almost every case, they simply don’t work in the real world, and some are actually dangerous or, in some cases, even deadly. A couple of week ago, the American Thinker featured an article that highlighted a new book by JR Dunn entitled Death by Liberalism - The Fatal Outcome of Well-Meaning Liberal Policies. In the book, Mr Dunn highlights several liberal ideas going back to our country’s founding and describes their deadly impact on people and society. Relying on well-established facts, Mr Dunn details the liberal’s approach to fuel-efficient cars, crime, abortion, environmentalism, banning of DDT, and others, then traces their disastrous and deadly results. Why don't they learn anything from failed liberal policies? Because there is nothing underpinning them other than feelings and so even when they don't work, their good intentions are treated, by other liberals at least, as more important than the results of their actions. Just to name one example of many, look at Vietnam. South Vietnam was policing its own country and holding off aggression from the North with the help of the United States. But, people get hurt in wars, so wars are bad. As a result of thinking that went no deeper than that, liberals in Congress cut off the aid and air support we promised the South Vietnamese. The result? The conquest of South Vietnam, a holocaust in Cambodia, millions dead and in prison camps, another million boat people, a crisis of confidence in America, and our country's reputation around the world was left in tatters, which led to a revolution in Nicaragua, the Soviet invasion of Afghanistan, and a lack of faith in the U.S. military which wasn't truly restored until Operation Desert Storm. So, we're talking about one of the most shameful and damaging mistakes in American history. Yet, the left is pushing to do the same thing in Iraq, despite the fact that catastrophic consequences would surely also follow a U.S. retreat in that country. But, this isn't just about foreign policy. Look at Lyndon Johnson's "war on poverty," which did nothing to reduce the poverty rate despite the trillions that were spent; however, it did help drive the illegitimacy rate among black Americans from 22 percent in 1960 to 70% in 2005. You could go on and on with these sort of examples -- rent control, which causes housing shortages, the minimum wage, which costs poor people jobs, the liberal insistence on putting “making nice at the U.N.” above looking out for American interests. That's what happens when you make decisions based on emotion and wanting people to like you, rather than using logic and doing the right thing. The National Aeronautics and Space Administration, better known as NASA, said in July that it had found the "smoking gun" that caused the space shuttle Columbia to break apart as it re-entered the Earth's atmosphere on Feb. 1: a piece of foam that had peeled off the external fuel tank and struck the shuttle's wing 1 minute and 22 seconds after liftoff. But many experts looking at the tragedy that killed seven astronauts say there is a deeper cause. They say that the metaphorical smoking gun should be painted green. Because of demands that the agency help to front for environmentalism, and under pressure from the Clinton-Gore administration's Environmental Protection Agency (EPA) led by Carol Browner, NASA had stopped using Freon, a fluorocarbon that greens claim damages the ozone layer, in its thermal-insulating foam. NASA found in 1997 after the first launch with the politically correct substitute that the Freon-free foam had destroyed nearly 11 times as many of the shuttle's ceramic tiles as had the foam containing Freon. The politicized foam was less sticky and more brittle under extreme temperatures. But apparently little or nothing was done to resist the environmentalist politicians. "It was at least a contributing factor, if not a major factor," says Hannes Hacker, an aerospace engineer and former flight controller at NASA's Johnson Space Center in Houston who is affiliated with the Ayn Rand Institute in Irvine, Calif. Hacker tells Insight: "The risk of a piece of debris falling off and causing significant damage to the space shuttle's thermal-protection system was [more than] 10 times greater with the new material than with the old material." The ditch alongside the road throughout history is littered with failed liberal ideas. While many liberals subscribe to the eugenics movement, many others are actually well-meaning with their ideas. Unfortunately, very few actually gauge the results of their ideas. One of their favorite themes is “We must look to the future, not to the past”, and herein is one of their greatest failures. We must look to the future, but we must not forget the lessons of the past. Otherwise, we continue to repeat the same unsuccessful and often deadly ideas. Today is Sanctity of Life Sunday, held each year on a Sunday near the anniversary of the 1973 Roe vs Wade court case which legalized the killing of unborn babies in our country. Many churches are participating in the Baby Bottles for Life program, in which families may take home a baby bottle for three weeks and fill with change, currency and/or checks. The bottles can then be returned to a designated collection area to support the ministry of Real Options for Women. Real Options helps expectant mothers make informed decisions about abortion or continuing their pregnancy. Unlike the so-called “pro-choice” organizations, which really offer only one choice (to kill the baby), this ministry offers real choices. All consultations and other pregnancy related services are offered in confidence and to anyone regardless of their ability to pay. Because of this, they need our financial support. As families participate in this program, it not only helps Real Options provide these needed services, but can teach your children the importance of missions. Above all, it will help protect the most innocent among us... those that don't have a choice. If your church is not involved with this program this year, you can still participate by visiting the Baby Bottles for Life website. Thank you and God Bless. Remember the uproar a week or so ago from the liberal Dems and their friends in the media when the Republicans opened the 112th Congress by (gasps and horrors!) actually reading the US Constitution. Most condemned the idea as a publicity stunt and a waste of time. After all, what does the Constitution have to do with governing? As Nancy Pelosi said during the healthcare debate, “we need to stop worrying about rules and procedures and get this thing done”. This is actually a defining difference between liberals and conservatives. Some of my liberal friends (yes, I have several good friends that are politically liberal) charge that the term “liberal” is a meaningless label that is constantly overused. Ignoring the fact that the media rarely uses it as opposed to constantly overdosing on the “C-word” (conservative), we know that the word liberal comes from a Latin word that means "to not be bound by". Thus a liberal politician believes that we are not bound by the Constitution, just as a liberal theologian believes that we are not bound by the Bible. Therefore, to a liberal, why read something that is perceived to possess no authority. The Constitution is merely a "living document" to be interpreted however it suits them at the time. Many conservatives even joked that the opening of the congressional session might be the first time that many Dems had actually been exposed to the Constitution. Now, our good friend Dee alerted us to an article that appears to confirm that it may not be a joke. When the Republican House leadership decided to start the 112th Congress with a reading of the U.S. Constitution, the decision raised complaints in some quarters that it was little more than a political stunt. The New York Times even called it a "presumptuous and self-righteous act." That might be true, if you could be sure that elected officials actually know something about the Constitution. But it turns out that many don't. In fact, elected officials tend to know even less about key provisions of the Constitution than the general public. For five years now, the Intercollegiate Studies Institute has been conducting a national survey to gauge the quality of civic education in the country. We've surveyed more than 30,000 Americans… Included in the adult sample was a small subset of Americans (165 in all) who, when asked, identified themselves as having been "successfully elected to government office at least once in their life" which can include federal, state or local offices. The survey asks 33 basic civics questions, many taken from other nationally recognized instruments like the U.S. Citizenship Exam. It also asks 10 questions related to the U.S. Constitution. So what did we find? Well, to put it simply, the results are not pretty. Elected officials at many levels of government, not just the federal government, swear an oath to "uphold and protect" the U.S. Constitution. But those elected officials who took the test scored an average 5 percentage points lower than the national average (49 percent vs. 54 percent), with ordinary citizens outscoring these elected officials on each constitutional question. Only 46 percent knew that Congress, not the president, has the power to declare war -- 54 percent of the general public knows that. Just 15 percent answered correctly that the phrase "wall of separation" appears in Thomas Jefferson's letters -- not in the U.S. Constitution -- compared with 19 percent of the general public. Overall, our sample of elected officials averaged a failing 44 percent on the entire 33-question test, 5 percentage points lower than the national average of 49 percent. The fact that our elected representatives know even less about America's history and institutions than the typical citizen (who doesn't know much either) is troubling indeed, but perhaps helps explain the lack of constitutional discipline often displayed by our political class at every level of our system. Given this dismal performance, it would seem that last week's House reading of the Constitution shouldn't be described "presumptuous and self-righteous," but as a necessary national tutorial for all elected officials. In fact, we can only hope that this trend of Constitution reading will continue to sweep the nation and states. After all, there are 50 state constitutions as well. When elected officials take an oath "to protect and defend the Constitution," shouldn't they know what they are swearing to? You may follow the article link above to take the test for yourself. A new book is being released today, but you probably won’t hear about it in most major media outlets, except maybe to pan or dismiss it if the book gets too popular. 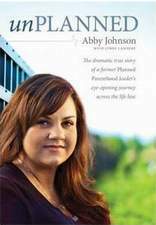 The book entitled “unPLANNED” is the story of Abby Johnson, a former director of a Planned Parenthood clinic, whose life was forever changed on October 6, 2009. It was on this fateful day that she was asked to help on an actual abortion, something she had never done or even witnessed before. After watching the 13-week-old baby fight for its life before losing it to the abortionist she was assisting, she quit her job and became a pro-life activist. I’ve often heard it said that “if wombs had windows, abortion would cease”. I believe that on that day, Ms Johnson realized for the first time that her clinic was actually murdering babies, not just aborting some glob of tissue like they were telling the mothers. Abby Johnson joined Planned Parenthood as a college student because she wanted to help women in crisis—a goal she believed the organization shared. As she rose through the ranks to become a clinic director, however, things started to shift. Finances grew tighter, clinic practices changed, and Abby became increasingly unsettled about what she was being asked to do. But it wasn’t until she helped perform an actual abortion procedure that Abby fully realized what she’d been a part of all those years. A compelling story of crisis and change, Unplanned is also a reminder of how grace finds us in unlikely places, and how we can all reach out with love to those who stand on opposing sides. Abby Johnson holds a B.S. in psychology from Texas A&M University and an M.A. in counseling from Sam Houston State University. She was hired by Planned Parenthood in 2005 and progressed to the position of community services director and health educator, where she served as liaison between the community and Planned Parenthood as media correspondent. Later promoted to health center director, Johnson ran both the family planning and abortion programs. In 2009 she left Planned Parenthood and joined the local Coalition for Life as a volunteer. She continues her volunteer activities and now works on projects with the national 40 Days for Life campaign. She and her husband, Doug, have a young daughter and live in Texas. We highly recommend this book to anyone who wants to know the truth about the abortion industry, but particularly to those parents who are facing these decisions.